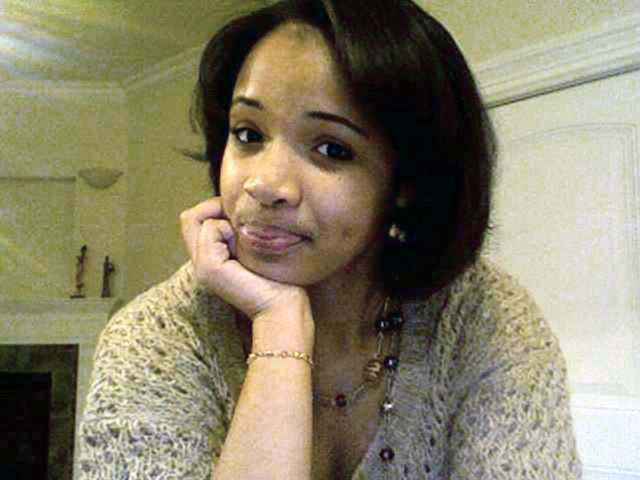 Chicago police have arrested and are questioning two people in the murder of Hadiya Pendleton, the high school student who performed at several presidential inaugural events in January. Police spokesperson Melissa Stratton confirmed to CBS affiliate WBBM Newsradio that "two persons of interest are in custody and the investigation remains ongoing." Pastor: Slain Chicago teen Hadiya Pendleton the face of "epidemic of violence"
Stratton also confirmed that Chicago Mayor Rahm Emanuel called Pendleton's mother on Sunday. Pendleton, 15, was gunned down in a Chicago park on January 29. She and about a dozen schoolmates were sheltering themselves from rain under a canopy when a gunman jumped a fence and opened fire. Police said Pendleton was not the gunman's intended target. Another boy was also shot in the leg and was treated at the hospital. Pendleton was a majorette with the King Collage Prep High School band, which performed at several inaugural events in Washington. First Lady Michelle Obama attended the teenage girl's funeral Saturday. An official told CBS News that Senior Adviser Valerie Jarrett and Secretary of Education Arne Duncan also attended.